It is Monday morning, you’ve been at the office for an hour and everything for the week is already piling up. You have a presentation in 10 minutes and the phones are ringing off the hook because your secretary is 20 minutes late. On top of all of this commotion, Reggie in accounting just put in his 2 weeks to go teach underwater basket weaving in Croatia. Greaattt. Now you’re plagued with finding a replacement. You want to… no, you NEED to get it right this time. How do you know the people you’re attracting are qualified or fit your companies values? Moreover, how are you going to find the time to shuffle through resumes and conduct interviews? 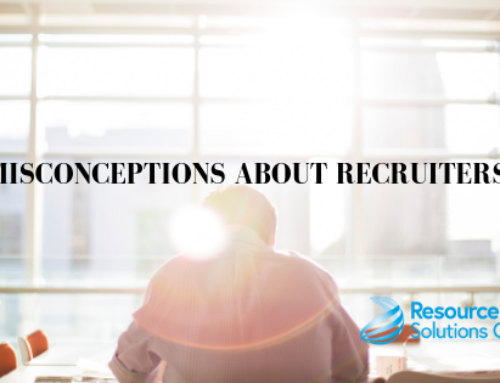 And you’re familiar with recruiters, but you aren’t sure you need a recruiter? Finding talent is a talent within itself. Having a recruiter dedicated to your needs will change the way your company runs for the better. You can cross off one more thing on your to-do list and take care of what should be your number one priority: your business. Not quite convinced? Take a look at the top 5 reasons you NEED a recruiter. The cost of a bad hire is a pretty good chunk of change. Having a recruiter can provide your company with a good hire. And I know you’re now thinking, “wouldn’t the cost of a recruiter be the same as the cost of a bad hire?” Absolutely not. Let’s be real, maintaining job boards, advertising, and other miscellaneous costs of hiring can become troublesome. Outsourcing a recruiting team will lower the dollar sign on your new hire. Staffing firms will take on the necessary background checks, drug-screening or any other tests that you may require. The use of a firm also will cut down on administration and payroll processing. Reducing costs is ALWAYS a good idea. You are a busy and fierce business tycoon. You have presentations to give and deals to make. You know what you need and when you need it. One problem that everyone seems to have in common is that there is never any time! This is the perfect time for your recruiter to pull out some tights and a cape to save the day. While you’re out making sales and making sure your ship stays afloat, your super recruiter is flipping through hundreds of resumes and screening candidates. 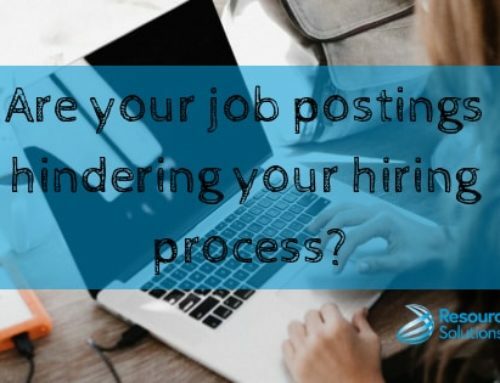 You’ll no longer have to waste your time with a sub-par candidate–your super recruiter will only send the cream of the crop. Not only will recruiters save you time but there is a good chance they know the perfect person for your open position. Recruiters are ALWAYS on and are ALWAYS making connections. Their LinkedIn and Facebook accounts are bursting with professionals specializing in anything from sales to the medical field. So, even if your applicant pool isn’t saturated with the best options, they know how to source exactly what you need. Not only is your recruiter an expert in all things YOU, but they have experts in applicants. How often do you interview people? A recruiter on a normal day is filling positions before they can even butter their toast in the morning. They know all the red flags and keywords that will indicate if the candidate is a good fit or not. They are also almost always industry specific. They know what you need because they have experience with other companies like yours. Understanding job needs will ensure your new hire hits the ground running. They also understand that the cost of this new hire will go beyond a monetary value. When your team’s morale is low because they are consistently picking up the slack from a sub-par co-worker, they’re gonna start wondering if this is the right company for them. A recruiter will know how to integrate a new person seamlessly into your well-established team. Keeping up with the competition. No matter the size of your organization, there will always be a competitor with better connections or more money. Hiring a recruiter will even the playing field to give you the competitive edge you need. They’re able to cast your job net beyond the horizon to reel in that perfect candidate. 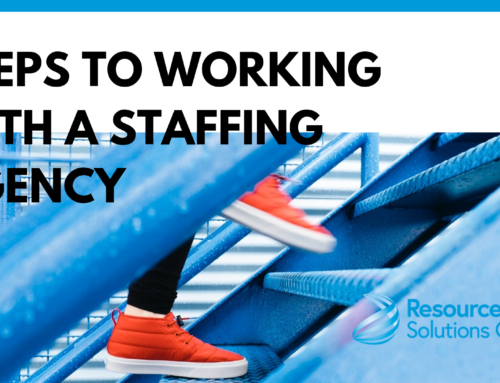 Hiring the right resources will gain you top talent. Top talent with earn you… well, anything you want. Still not convinced that you need a recruiter? Reach out to us today to learn more about the value we can provide for you and your team!